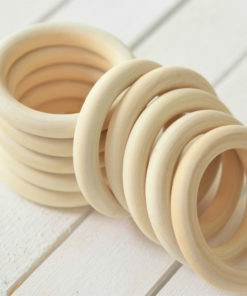 Natural wooden rings for making baby toys, teething rings, teething necklaces and pacifier holders. Unfinished wood. No chemicals, no varnishes. The set includes 5 rings, diameter 70 mm. Safety eyes for amigurumi, crocheted, knitted or sewn toys. 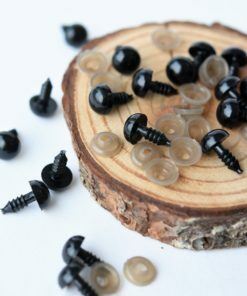 The set includes 10 pairs of black 12 mm plastic safety eyes with washers. Safety eyes for amigurumi, crocheted, knitted or sewn toys. 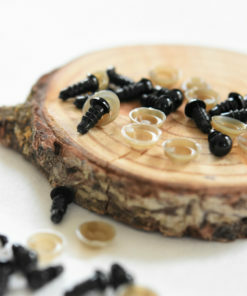 The set includes 10 pairs of black 10 mm plastic safety eyes with washers. 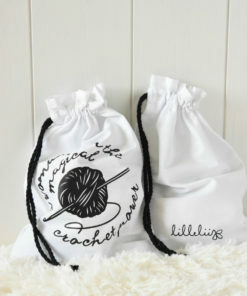 Every crochet enthusiast needs a yarn shopping bag. Use it as a shopping bag or for carrying all your craft stuff and projects with you. Minimalist, scandinavian, black and white. But at the same time thoroughly practical. 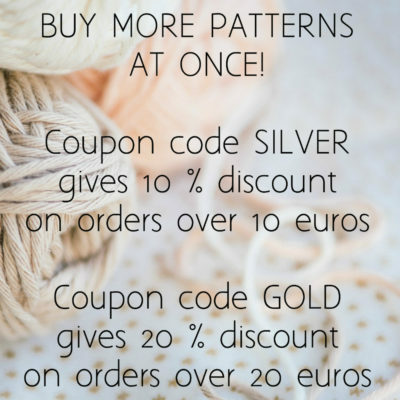 Wear it with proud and show the world that you are “a woman with the magical crochet power”. 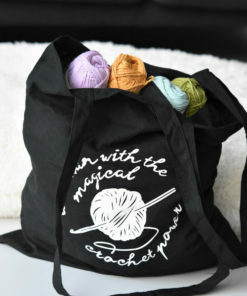 Project bag for a true crochet enthusiast. Minimalist, scandinavian, black and white. But at the same time thoroughly practical. Fits a couple of skeins of yarn, crochet hook, scissors and even some stuffing for amigurumi. You can proudly take it out anywhere you go, cause then the world knows you are “a woman with the magical crochet power”. Safety eyes for amigurumi, crocheted, knitted or sewn toys. 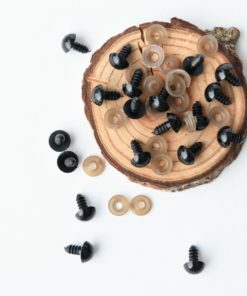 The set includes 10 pairs of black 6 mm plastic safety eyes with washers. Safety eyes for amigurumi, crocheted, knitted or sewn toys. 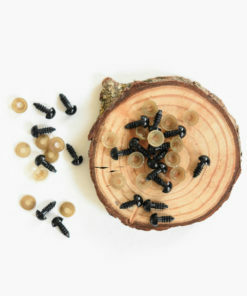 The set includes 10 pairs of black 8 mm plastic safety eyes with washers. 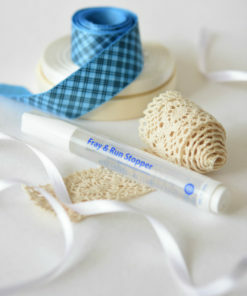 You can use fray stop to prevent the ribbon ends from fraying. Thanks to it`s comfortable pen shape you can apply it even when you`ve already tied the ribbon in place. 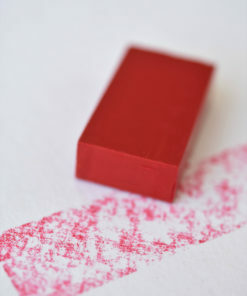 To apply touch the end of the ribbon gently with the tip of the applicator. 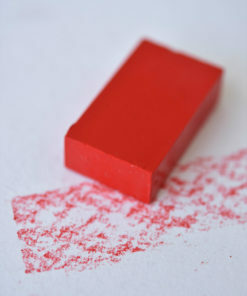 Leave to dry and make sure it doesn`t touch anything until it`s completely dry. Beeswax for blushing doll`s cheeks. You can use it whether in making amigurumi or Waldorf dolls. Use a paper towel or fabric cloth (not included) and gently rub onto doll's cheeks with a circular motion.